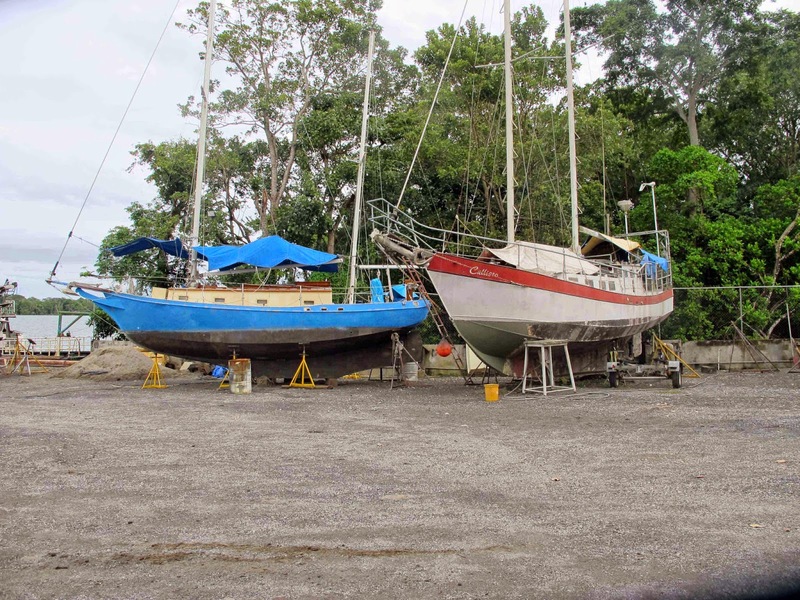 For the 1st part of our refit (complete bottom/centerboard overhaul) I chose the Astillero Magdalena in San Felipe based on recommendations and a look at the yard and their work. The two yards in the Rio with Travelifts are competitively priced so it boiled down to which yard “felt right”. 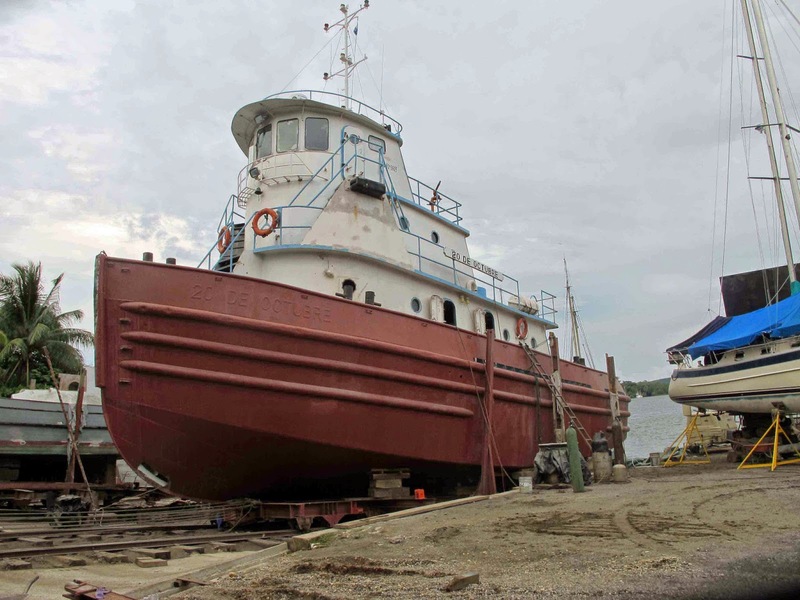 Abel specializes in new bottoms and topside renewals, stripping old teak decks and applying new gelcoat. They have a stable workforce of locals who have loyalty to the yard because they are treated well and paid well (by local standards). Here are a few photos of the yard. The yard is family-run, with Abel the son (Juan Abel) now doing all the management and Abel the father (at 78 years old) still running his tug Popeye and barge up and down the river transporting building supplies and other items to remote locations. 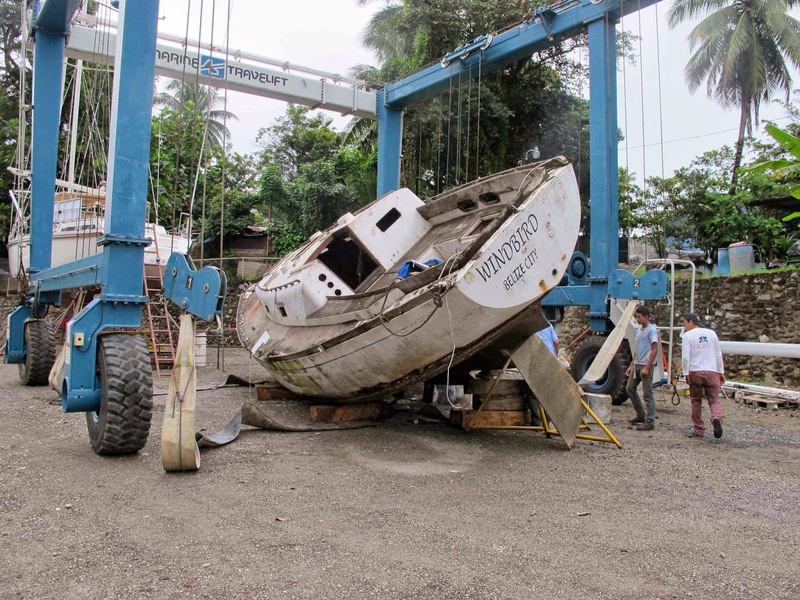 The photos include the tug “20 Octubre” from Puerto Barrios getting a complete overhaul, a river fuel barge, some derelict steel boats, and “Wind Bird”, a sloop towed over from Belize to be salvaged and then made into a transport boat. 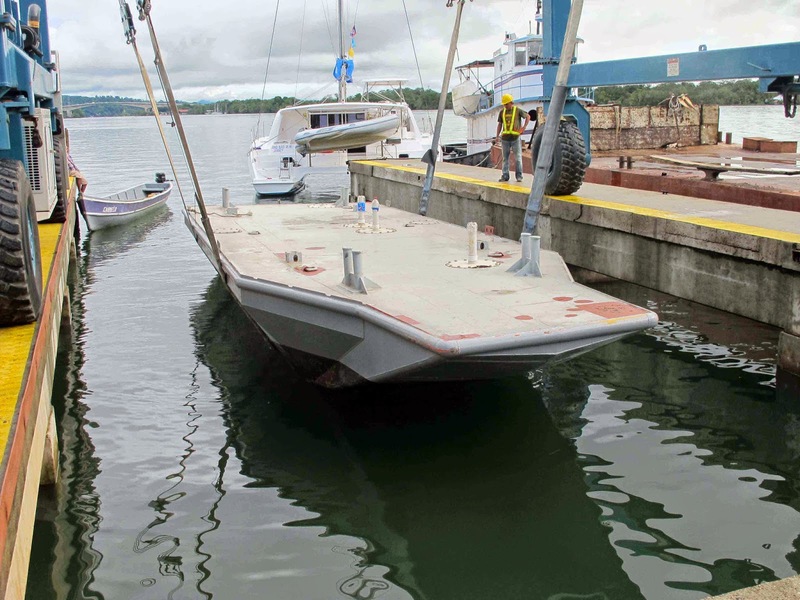 They got a free haulout from Abel Sr. and did all the work over one weekend, glassing over all the through hulls and cutting off and glassing over the keel. 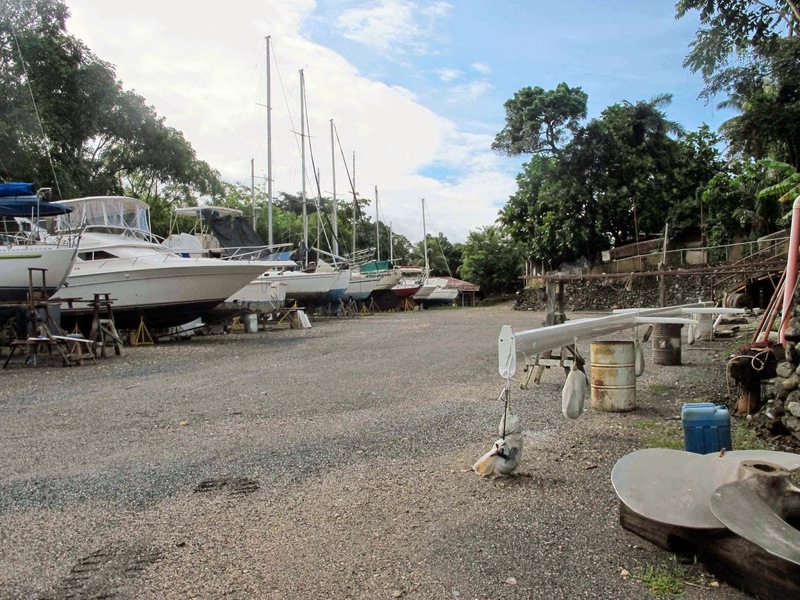 They will then mount a platform on the stern for a big outboard and cut off the cabin top and remove the interior to make it into a powered barge. There are a couple of these working on the river.